Fernanda Montenegro (born 1929) is an award-winning Brazilian actress from Rio de Janeiro best known for her leading role in Walter Salles’ Central Do Brasil (Central Station) (1998). Born Arlette Pinheiro Esteves, she began her acting career in radio at age 15. She made her stage debut in 1950 in Alegres Canções nas Montanhas alongside her future husband of sixty years, actor Fernando Torres. This role kickstarted her burgeoning celebrity and she soon became known as “The First Lady of Brazilian Theater.” In 1951 she was hired for TV Tupi Rio de Janeiro, making her one of the pioneering television actors in Brazil. Since the 1960s she has starred in numerous telenovelas, mostly playing mother and grandmother figures. Montenegro had her cinematic breakthrough in 1965 in Leon Hirszman’s A Falecida (The Deceased). Her role as Doria in Central Do Brasil (Central Station) garnered international acclaim, including the Berlinale Silver Bear , an Academy Award nomination, and a National Board of Review Award. She also received the Best Actress Award at the Tribeca Film Festival for her role in Marcos Bernstein’s O Outro Lado da Rua (The Other Side of the Street) (2004) and the Grand Cross of the National Order of Merit for the recognition of outstanding work in Brazilian performing arts. 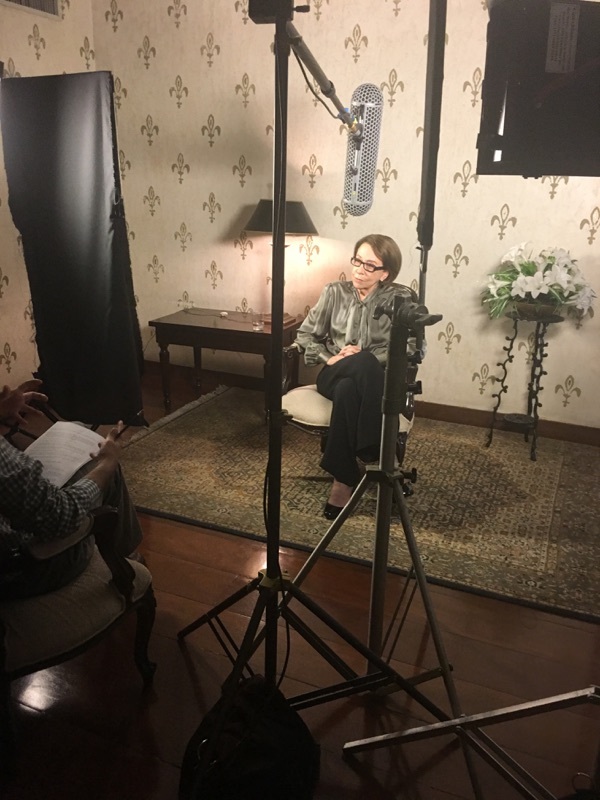 Fernanda Montenegro is interviewed by Mateus Araújo Santos at Montenegro’s home in Rio de Janeiro on March 21, 2016.
describes their various artistic partnerships throughout the years. 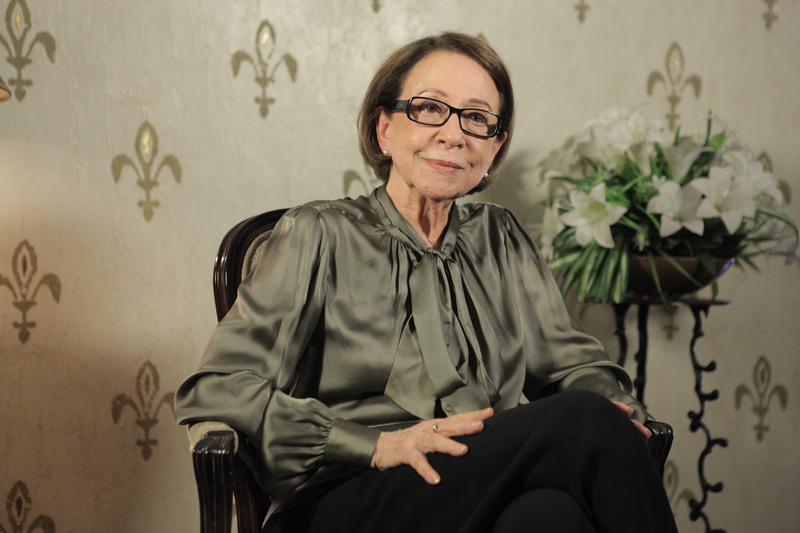 Referring to her transition to cinema Montenegro discusses her breakthrough role in Leon Hirszman’s A Falecida (The Deceased) (1965), and she speaks with great admiration about the Brazilian playwright and novelist, Nelson Rodrigues, on whose work this film is based. 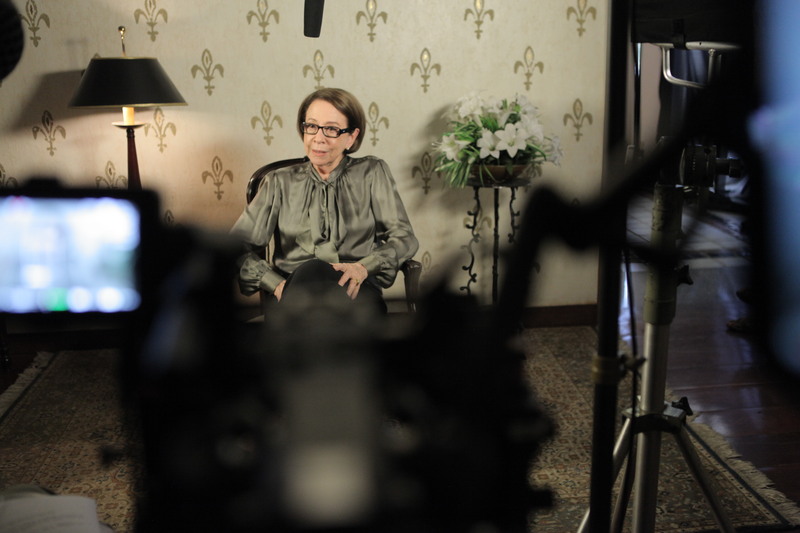 She shares her experiences working with filmmaker Arnaldo Jabor on Tudo Bem (1978) and with director Susana Amaral on the film adaptation of Clarice Lispector’s novel A Hora da Estrela (The Hour of the Star) (1986). Montenegro reminisces about acting with Marília Pêra and Othon Bastos in Walter Salles’ Central Do Brasil (Central Station) (1998). She discusses how the international success of this film impacted her career, recounting how she felt about being nominated for the Academy Award for Best Actress. She cites a number of other films, including Marcos Bernstein’s O Outro Lado da Rua (The Other Side of the Street) (2004), Mike Newell’s Love in the Time of Cholera (2007) and Andrucha Waddington’s House of Sand (2005). Montenegro shares her acting philosophy and techniques and illuminates the differences between acting for the theater, for televisión, and for film. She ultimately concludes that she owes everything she knows to the theater—great friendships, a lifelong companion in Fernando Torres, and a rich and fulfilling acting career.